Hey everybody! Hope you’re having a good week! I’ve sort of disappeared from the blog. We’ve been very busy. You know, eating meatballs and bulle, playing with toys, sleeping in, watching movies. I love that kind of busy. It has felt so great to take a little break, before the big move, before real life gets all crazy-like again. 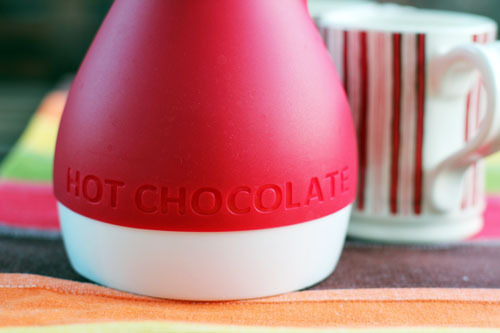 The pot does a great job mixing and frothing up your hot chocolate. Come on, who doesn’t like a little froth? But my favorite part is the pouring spout. The one thing I hate about making hot chocolate is pouring it from the pan to the cups…it’s always such a mess! 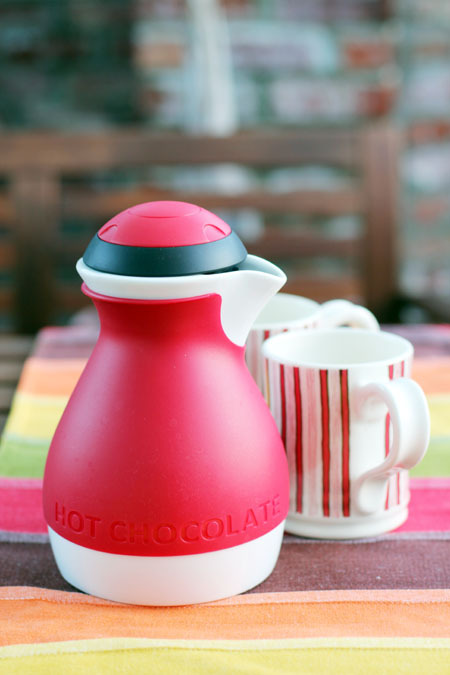 The hot chocolate pot allows for an easy, tidy pour into the mugs. It’s awesome! I’m sold! In fact, I think I’ll go froth up some hot chocolate right now. we are really happy about the move, but SO sad to leave the bay area!!! Thats very cute…does it hold enough for 5 kids? If so I may be sold too! I believe you can do 32 ounces or so at one time…the amount my kids drink (hardly any, they focus on the marshmallows) it would hold enough for 5 kids! 🙂 that’s 4 adult servings, so it should work! 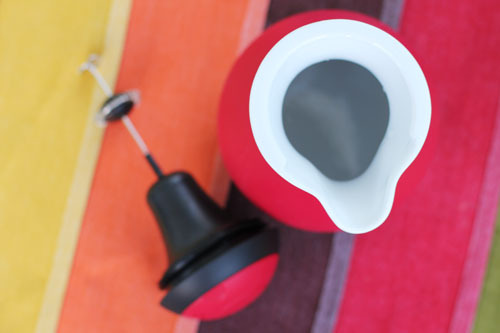 It is looking really pretty, this pot makes life so easy for everyone. Thakyou for sharing. glad you laughed – I thought it was pretty darn funny…with you, love the store, but it was hilarious! A piece of junk, period. Bought it at William Sonoma. No wonder they sold then in clearance and no longer carry them any more. The small motor broke after one use, and there is no place to order a spare part! so glad you commented, good for people to know! that is totally a bummer that the motor broke because I love the frothing! mine is still in good shape, will enjoy it as long as it lasts, I suppose! I have the Williams Sonoma Froth and pour hot choc pot….bought it last year, haven’t used it yet. My problem is I am diabetic. Does anyone know of a recipe to make sugar free chocolate for it?